Replace the standard 'Make Enquiry' button with 'Book Viewing' and 'Book Valuation' functionality from PropertyFile Plus by Jupix. Once installed and activated you’ll have the ability to remove the default ‘Make Enquiry’ button that comes with Property Hive and, instead, display ‘Book Viewing’ and ‘Book Valuation’ buttons. Once clicked they’ll then open the relevant form from PropertyFile Plus meaning anything booked will appear in your Jupix account right away. From within the settings area of the PropertyFile add on you’ll have the ability to choose which buttons are hidden or shown on the property details page. 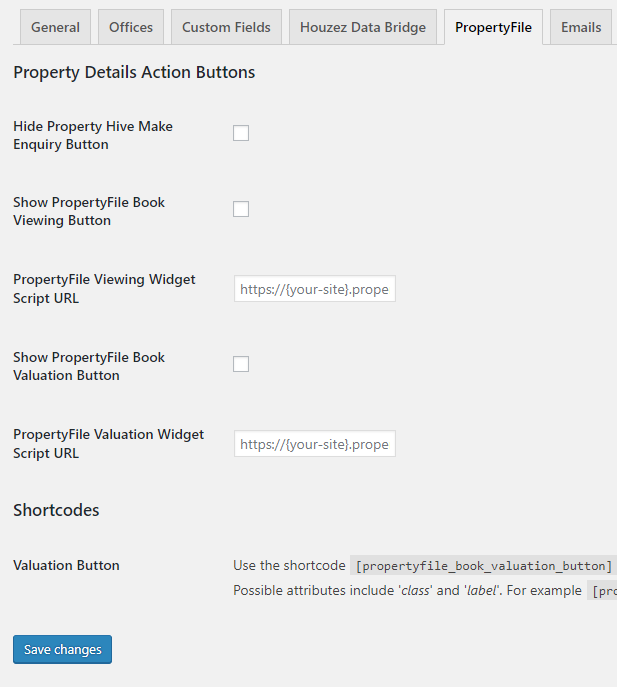 We know that it’s likely you’ll also want to display the ‘Book Valuation’ button in other places throughout your estate agency site too so we’ve also added a handy shortcode to allow you to do this quickly and easily.